Today, when you order "Extreme Coin Magic by Joe Rindfleisch - DVD", you'll instantly be emailed a Penguin Magic gift certificate. You can spend it on anything you like at Penguin, just like cash. Just complete your order as normal, and within seconds you'll get an email with your gift certificate. Coin magic beyond your wildest imaginings! 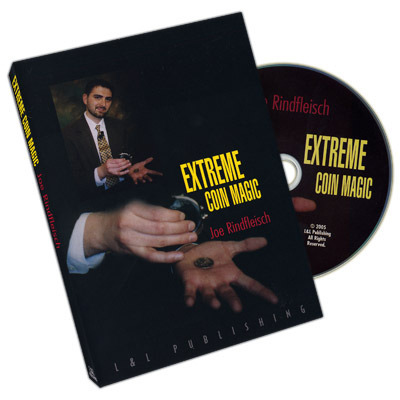 Unfettered by coin magic's time - worn traditional plots, Joe Rindfleisch has invented some of the most creative magic with coins ever developed and on this digital extravaganza, you'll be able to see - and learn - it all! There's almost two and a half hours of mind-bending coin magic here - 27 different items! - with brand-new plots, exciting twists on classic effects, and innovative sleights, dodges and stratagems that are guaranteed to warm the heart of coin workers everywhere. 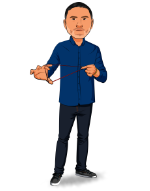 What's more, all of the effects are arranged in performance sets as Joe, besides performing and teaching his powerhouse material, provides a post-graduate course in how to effectively routine close-up magic.